China Glaze Nail Polish, Queen, Please!, 1571, .50 fl. oz. 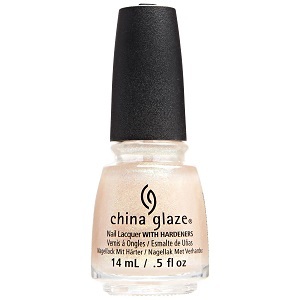 Sheer pale pink nail color with iridescent light gold flaky shimmer that flashes to green. Great for layering over other nail colors.